It's always fun when we can identify familiar places where our brides get married, and today we are featuring a wedding from an area where I grew up in Connecticut! 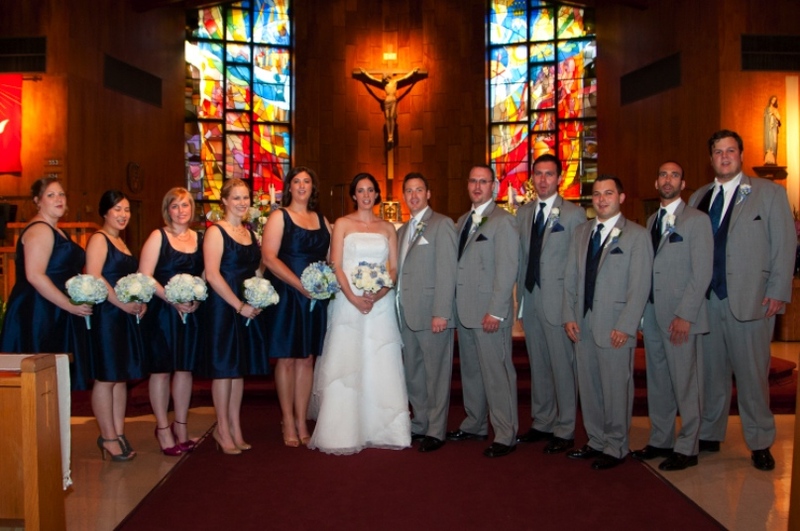 Lauriann and Tom were married last summer at the St. Jerome Church in Norwalk, followed by a reception at The Waters Edge at Giovanni's in Darien. 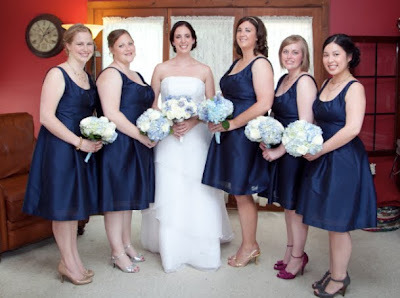 Lauriann's bridesmaids wore the scoopneck style Alfred Sung D447 in Midnight dupioni. 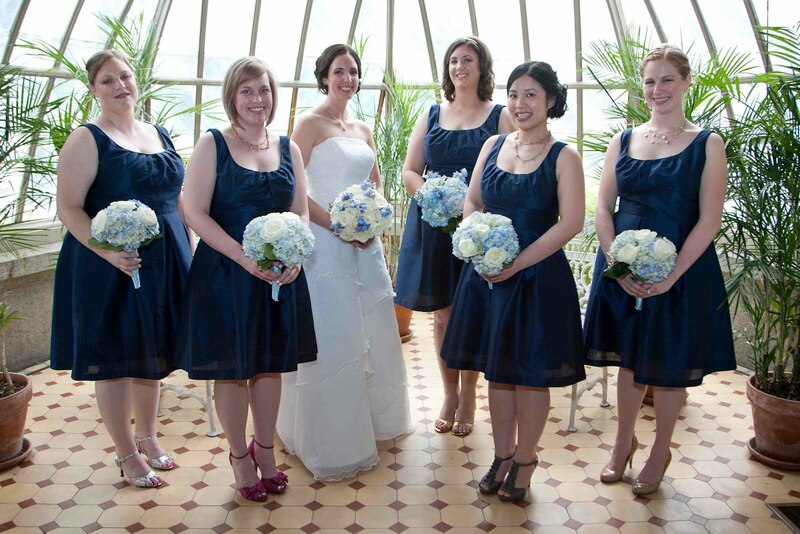 The dark navy color is so popular that it is offered in both dupioni and peau de soie fabrics. Between the ceremony and reception, Lauriann and Tom took a detour to take some photographs at Lockwood Matthews Mansion in Norwalk. A bit of movie trivia for those who are interested. "The Stepford Wives" with Nicole Kidman and Matthew Broderick was filmed here! They also decided to have a photobooth late in the planning process based on how much fun it had been at other weddings they attended and were not disappointed! 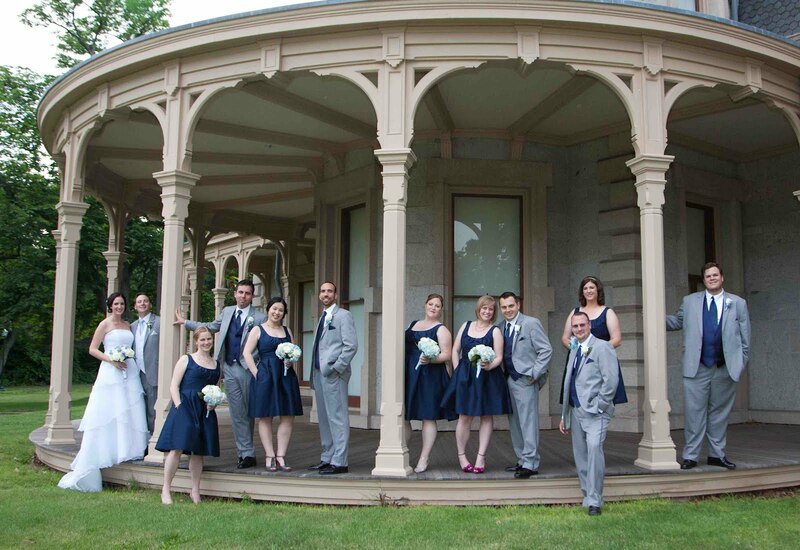 "It was fun to come up with silly poses and try to fit as many people as possible inside. 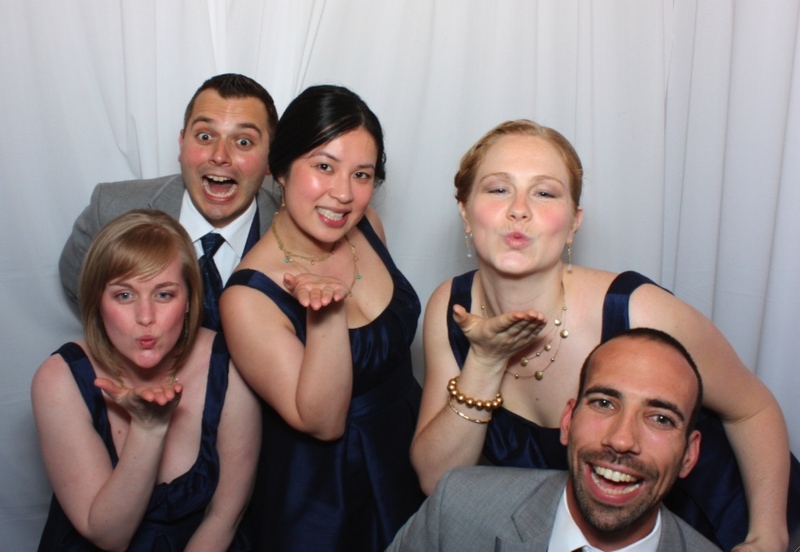 Everyone signed our guestbook next to their photobooth strip AND got to take a copy with them." 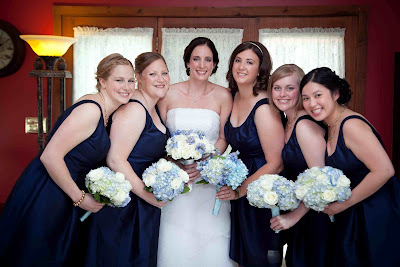 Lauriann's favorite memory of "the big day" is the brief moment alone they had before making their entrance into the reception. "Tom had written me a note from that morning as he was getting dressed and making his way to the church. 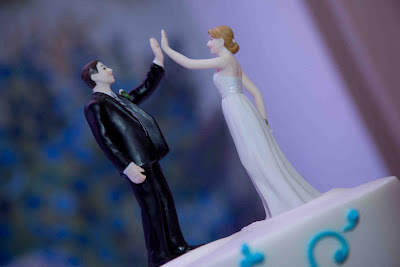 I had made it through the entire ceremony without crying, which I thought was quite an accomplishment. 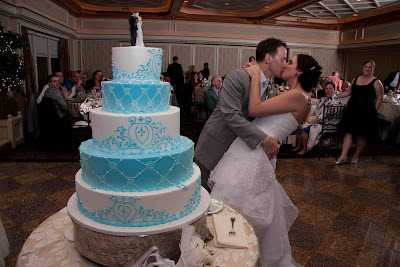 As I read the sweet, sweet words he had written for me on our wedding morning, I shed my first and only tears of the day." Congrats Lauriann and Tom. May you continue to find fun and laughter everywhere life will take you!